How to change your password if you know your current password. Log into the Fulcrum web app go to the Settings page. Select the Profile tab on the settings page. 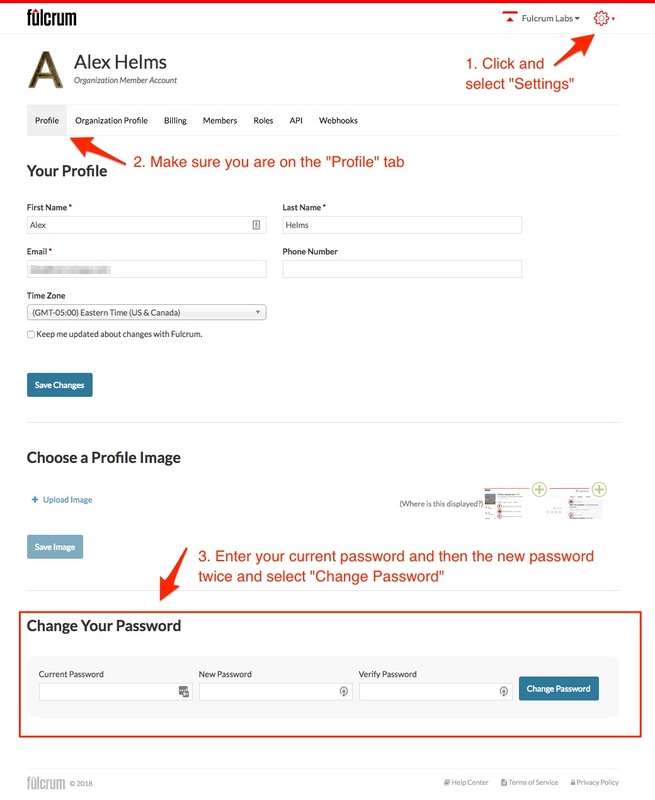 At the bottom of the page, you will see a form for changing your password. Simply fill in your existing password then enter in your new password and verify the new password. Lastly, click the "Change Password" to set your new password. NOTE: If you change your password or email address, you may need to log out and log back into the Fulcrum mobile apps before you can sync again. Note: If you do not know your current password, you can reset your password using the forgot password button on the login page to the web app or using the link in the forgot password help article.